A very desirable set with difficult to acquire gold and platinum pieces having mintages of 1,500 and 300 pieces respectively. 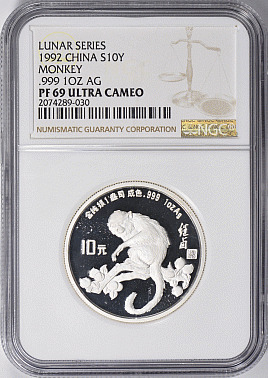 The coins are nearly matched in grade with the gold 100 Yuan being the only to be graded Proof-68. Description: KM-428, 430, and 432.